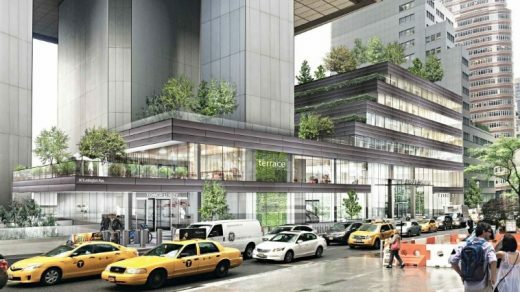 New creative office hub above revamped Downtown Brooklyn Macy’s. Tishman Speyer has released plans for the 422 Fulton Street Macy’s renovation that will turn a new 10-story space above the department store into a 620,000 sqft creative office hub called The Wheeler. 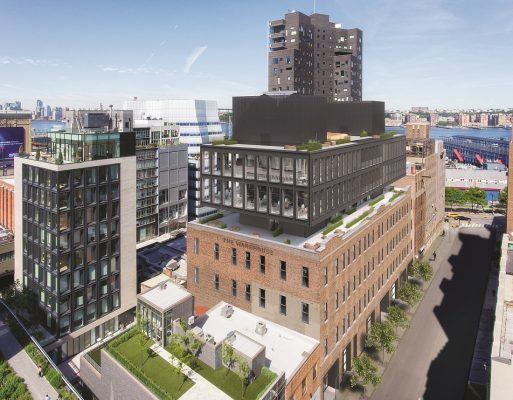 Reflecting a recent trend in snazzy work spaces that attract TAMI (technology, advertising, media and information) clients, the space will comprise “620,000 square feet of opportunity in the center of downtown Brooklyn,” according to the developer. 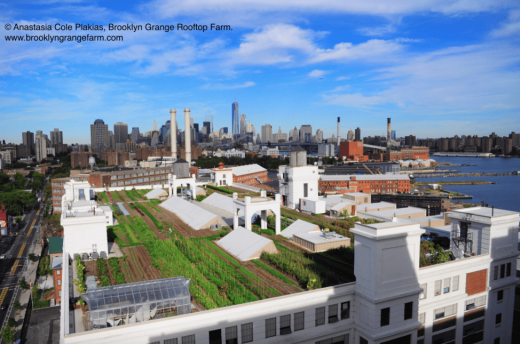 On offer will be the largest floor plates in Brooklyn with 15+ foot ceilings that “leave plenty of room for huge ideas,” and a sprawling rooftop terrace, part of an acre of outdoor space that “provides fresh air for fresher thinking.” There will also be 130 subterranean bike stations with lockers and showers for workers who bike to work. Tishman Speyer inked a deal with Macy’s in early 2016 to redevelop the ancient Downtown Brooklyn store including a new addition to the historic building. Various renderings surfaced soon thereafter but the companies have remained quiet since then. 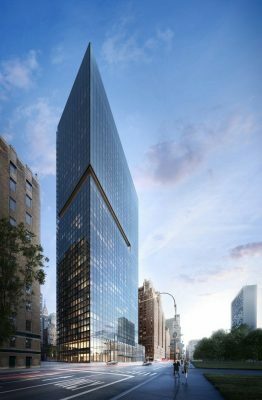 Today’s news represents a new batch of intel on the project, including the news that the glassy new buildings will be designed by Shimoda Design Group and Perkins Eastman. 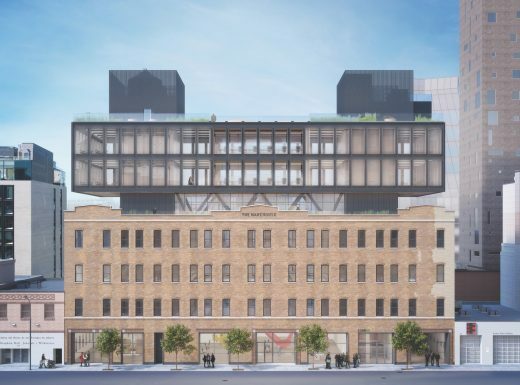 Morris Adjmi is no stranger to converting and reinterpreting industrial architecture, so it’s fitting that Elijah Equities tapped the “contextual king” to redevelopment the Carolina Manufacturing Company’s former distribution facility and apparel-manufacturing space at 520 West 20th Street, right next to the High Line in Chelsea (h/t ArchDaily). 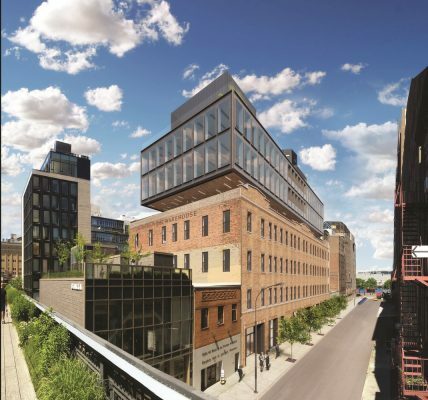 For the project, known as “The Warehouse,” Adjmi will add a three-story, steel-framed addition to the current 65,000-sqft structure, resulting in 100,000 squft of office and retail space with more than 18,000 square feet of rooftop and outdoor amenity space. 601 Lexington Avenue is located in the heart of Midtown Manhattan at East 53rd Street and Lexington Avenue, directly across from 599 Lexington Avenue. This 59-story building has direct access to the Atrium Shops and Cafes. The Kaufman Organization, a full-service commercial real estate firm, announced today that design agency, Design Bridge, has signed a 5,702-square-foot, full-floor lease on the seventh floor at 45 West 27th Street (45W27), the newly brought to market office building in Kaufman’s Madison Square Portfolio. 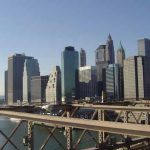 Design Bridge has a global presence in London, Amsterdam and Singapore and is now marking its 30th year anniversary with the expansion of its New York City footprint. Last week the Urban Design Forum released an application for the 2017 Forefront Fellowship. This is an opportunity for designers, planners, engineers, developers, advocates and tech professionals under 40 that are shaping the future of New York City. 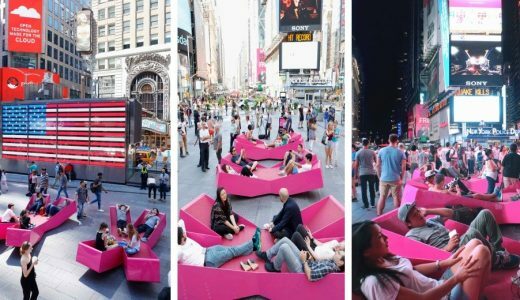 This year’s program, Design for Arrival, will explore how urbanists can strengthen New York City’s immigrant communities. Though we have been interested in tackling similar issues since the European refugee crisis, the topic has only become more urgent in the last few months. Due to complete later in 2017, this is the first of three main buildings in the $2 billion Cornell Tech campus on New York’s Roosevelt Island. Part of former New York Mayor Michael Bloomberg’s 2011 initiative to make the city a global hub for technology development. Excavation work is well underway at the site of a planned 59-story, 458-unit mixed-use tower under development at 138 Willoughby Street, located on the corner of Flatbush Avenue Extension in Downtown Brooklyn, reports newyorkyimby.com. Multiple excavators are active on site, as well as footings for the foundation. The latest building permits have the project measuring 686,830 square feet and rising 696 feet to its parapet. Retail space, totaling roughly 68,000 square feet, will be located across the cellar through third floors. 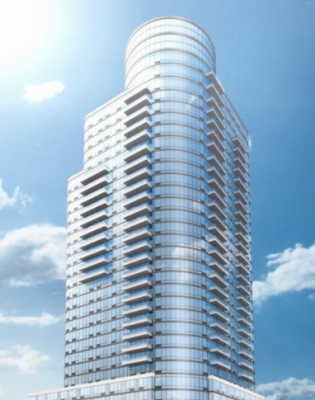 The condominium residential units will begin on the seventh floor and end on the 58th floor. Extell Development Company is the developer and Kohn Pedersen Fox is the design architect. SLCE Architects is the executive architect and completion is expected in early 2021. 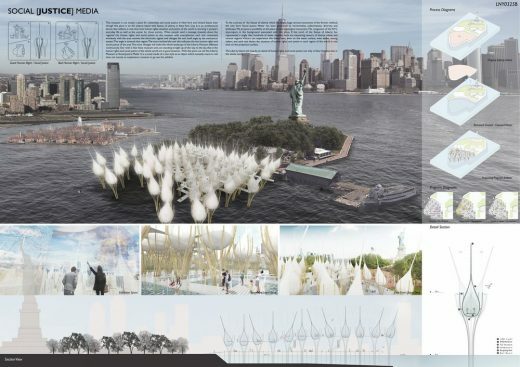 As an antidote to the anti-climate-change direction of US presidential politics e-architect will feature an inspirational green project at least once a week. 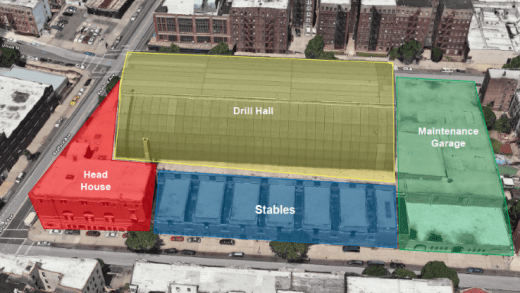 Just over a year ago, city officials announced plans to redevelop the historic Bedford Union Armory in Crown Heights into affordable housing, a recreation center, and condos. Last night, City Council member Laurie Cumbo revealed that the city wasn’t sure how much federal housing funding it would receive under the Trump administration, and that uncertainty was threatening negotiations over the city budget and affordable housing at the armoury, reports Yimby. She wouldn’t support the development unless it included more affordable housing that families in Crown Heights could afford. “With the Trump administration coming in, we’re reducing the budget significantly and we’re trying to bring in as much housing subsidy as possible,” Cumbo said. 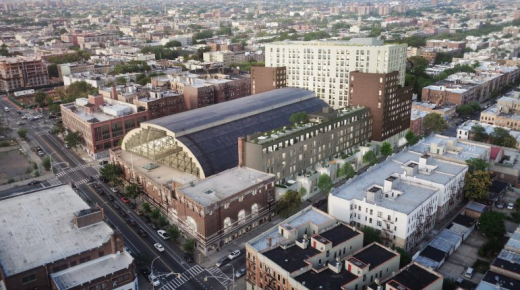 As part of their deal with the city’s Economic Development Corporation, the developers promised that that they wouldn’t accept any public subsidies to build affordable apartments at the armory. Without the subsidies, only half of the 330 rentals on the site will be affordable. 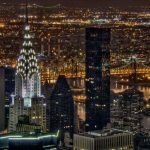 New York Governor Andrew Cuomo has announced the latest in a series of major infrastructure projects for the New York City area, reports the Architectural Record. The airport’s older terminals, with the exception of Eero Saarinen’s landmarked TWA Flight Center, would be torn down or significantly altered. The new $8 billion terminal building would be privately funded and—like a $4 billion terminal designed by architects HOK now under construction at LaGuardia Airport—would be run in part by public-private partnerships. The governor also plans to spend about $2 billion of public funds on improved road access to the airport. In 1982, the CEO and owner of Red Apple Group, John Catsimatidis paid $500,000 for a 2.5-acre, four-block site in Downtown Brooklyn, on the western edge of Fort Greene, reports www.6sqft.com. Thirty-five years later, construction nears completion on the final, and by far the tallest, of the four-tower development. The 350 feet high curving glass building at 86 Fleet Place was designed by Goldstein, Hill & West. 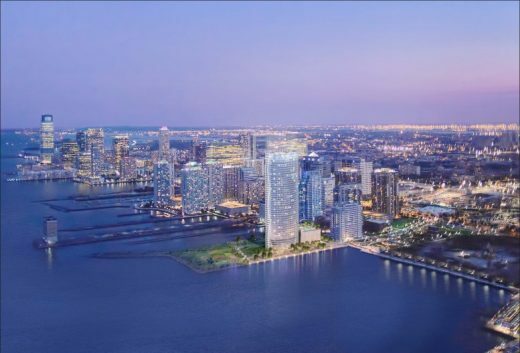 It will rise 32 stories and house 440 rentals, 29 of which are set aside as affordable and have gone online through the city’s affordable housing lottery. They range from $833/month studios to $1,247/month three-bedrooms. Construction is now five stories above street level on the 42-story, 556-unit mixed-use tower designed by Richard Meier & Partners Architects. The building is under development at 685 First Avenue, located between East 39th and 40th streets in Murray Hill, reports newyorkyimby.com. 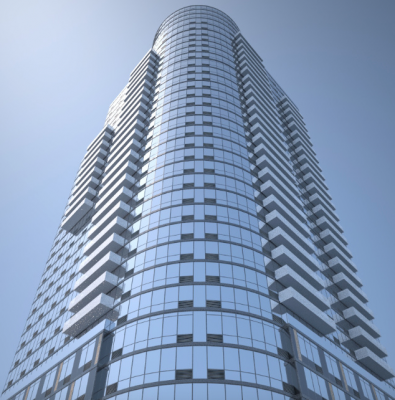 building permits indicate the project will encompass 813,813 sqft and rise 460 feet in height. There will be 10,088 sqft of ground-floor retail space, split between two units. 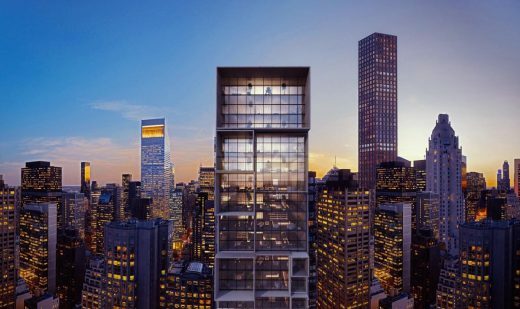 There will be 448 rental apartments across the 3rd through 27th floors, followed by 148 condominiums on the 28th through 42nd floors. Solow Realty & Development Group is the developer. Completion is expected in 2018. 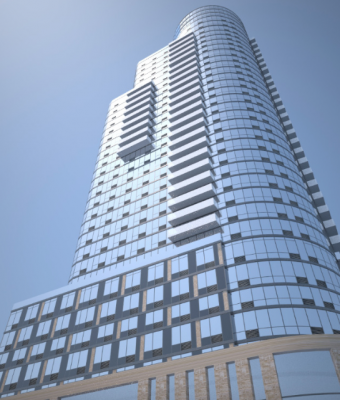 Construction has topped out on the 43-story, 376-unit mixed-use tower, dubbed Ellipse, at 1-25 14th Street, located in the Newport section of Jersey City, N.J., reports newyorkyimby.com. The structure, which is now receiving glass installation on its 27th floor, can be seen thanks to photos posted to the YIMBY Forums. 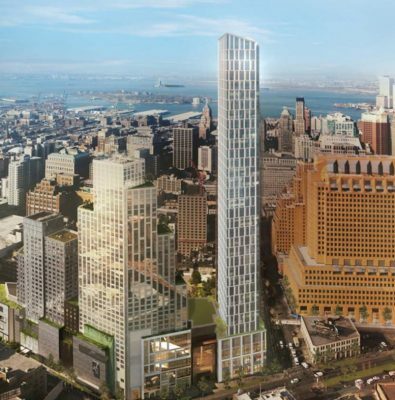 The 592,800-sqft tower’s apartments will be rentals, ranging from studios to three-bedrooms. There will be 24,000 square feet of amenities, as well as a retail component near street level. The LeFrak Organization is the developer. Arquitectonica is the design architect and Haines, Lundberg & Waehler (HLW) is the executive architect. Completion is expected later this year. 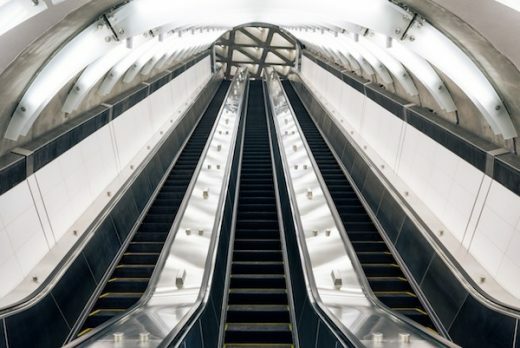 The first major expansion of New York City subway system in nearly a century, the 1.8 mile stretch of track runs between 63rd and 96th streets and consists of three new stations, plus one upgraded station.